Revision Path is an award-winning weekly interview podcast that focuses on showcasing some of the best Black graphic designers, web designers, and web developers from all over the world. On each episode, we explore the stories, processes, experiences, insights, and creative inspirations of these awesome creators. Revision Path was created in December 2012 from entrepreneur and web designer Maurice Cherry and launched officially on February 28, 2013. The first interview was published on March 23, 2013. In April 2013, Revision Path switched to a weekly format, with audio and text interviews publishing every Monday at 10am ET. In February 2014, 28 Days of the Web launched as a companion website to Revision Path. In December 2015, Revision Path was named the Most Inspiring Design Podcast in the inaugural Creative Market Awards. In May 2018, Revision Path’s founder and editor-in-chief was awarded the Steven Heller Prize for Cultural Commentary from AIGA. All work on Revision Path is licensed under a Creative Commons Attribution-NonCommercial-NoDerivatives 4.0 International License. 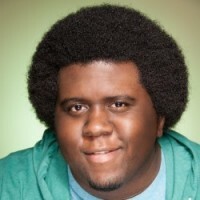 Maurice Cherry is the editor-in-chief of Revision Path, host of the Revision Path podcast, and curator of 28 Days of the Web. Maurice serves as marketing, design & communications lead at Glitch, former principal at Lunch, and the founder and chairman emeritus of the Black Weblog Awards. Along with the aforementioned Steven Heller Prize, Maurice was named as one of GDUSA’s “People to Watch” in 2018, was honored by Creative Loafing Atlanta in the fields of business and technology in their inaugural CL’s Influentials Awards, and was included in The Root 100 for 2018 (#60), their annual list of the most influential African-Americans ages 25 to 45. You can follow him on Twitter or visit his website. 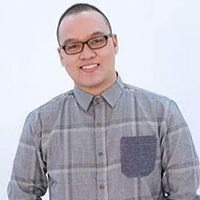 He lives in Atlanta, GA.
RJ Basilio is an international audio engineer and podcast editor from The Philippines. RJ has worked for 8 years with dozens of podcasters throughout his freelancing career and he’s also a video editor. You can follow him on Twitter, Instagram, and Facebook. Paul Anthony Webb is a Boston-based front-end web designer and developer. He likes making awesome things (for awesome people). Paul is an active patron of Revision Path and serves as our community admin on Slack. You can follow him on Twitter or visit his website. Jordan Green is a researcher and designer from San Francisco currently based in Seattle, WA. He works at the University of Washington as a Research Coordinator for a mobile health app. He currently moderates WeAllJS, LGBTQ.technology, and VR/AR Collective. You can find him on Twitter where he sometimes tweets something original. Jordan also serves as our community admin on Slack. Regine Gilbert is a User Experience Designer, Educator, and International public speaker with over 10 years of experience working in the technology arena. Currently, she is a Sr. UX Design Consultant with the Gilbert Consulting Group, Inc. Regine has a strong belief in making the world a more accessible place—one that starts and ends with the user. She started her career in design as a fashion designer, then quickly evolved into working in a corporate information technology setting before returning to the world of design. She is passionate about accessibility, design and technology. Where is Revision Path based? Revision Path is based in Atlanta, Georgia, but our team and contributors are all over the world. Why did you create Revision Path? Revision Path was created because the stories of Black designers and developers deserve to be shared and told. And since most mainstream tech and design websites and podcasts don’t share or tell these stories, we’re stepping up to the plate and providing a platform for these creative individuals to shine. In August 2016, we decided to switch our focus more towards design in order to have a clearer editorial voice. How do you choose who to interview? There’s a long ongoing list of potential guests, but we also get lots of suggestions from the tech and design communities at large. Deciding who to interview involves looking at an individual’s body of work and determining whether they would be good to talk to for the show based on those criteria and other non-design factors (age, geography, sexual orientation, etc.). We also welcome people who suggest themselves to be interviewed. Contact us! Do you only interview designers? While Black designers are Revision Path’s primary focus, there have been all types of creatives and techies featured, including software developers, indie game developers, presentation specialists, UX developers, entrepreneurs, creative directors, art directors, illustrators, animators, and a lot more. In August 2016, we decided to switch our focus more towards design in order to have a clearer editorial vision. In December 2018, Revision Path joined the Glitch Media network. What goes into each interview? The most time goes into scouting who to interview and seeing if they will agree to be on the show. Once they’ve agreed, the rest of the interview process is pretty simple. Scheduling is done using Book Like A Boss, recording is done using Skype and MP3 Skype Recorder and Audacity, and editing is done using Auphonic, Adobe Audition CC and Audacity. From there, the interview is published via Simplecast to Apple Podcasts, Stitcher, and other podcast directories, on SoundCloud, on Spotify, on Facebook and Twitter, as well as here on the website. Who did your intro and outro music and voiceover? For episodes 1-7, our intro and outro music was performed by MusicToSuit. For episodes 8-24, our intro and outro music was performed by Shone15plus. For episodes 25-49, our intro and outro music was performed by YellowSpeaker, with voiceover work by MusicManDre. For episodes 50-99, our outro music is performed by jimmysquare. For episodes 100 to now, our outro music is performed by YellowSpeaker with occasional selections from Chillhop Music and Chilled Cow. How can people support Revision Path? You can follow us on Facebook, Twitter, and Instagram, subscribe, rate, and review the podcast on Apple Podcasts and spread the word about the interviews when they publish! Tell everyone you know — that really helps get the word out about what we’re doing!